As somebody who returns to Asia time and time again, there’s always been steep competition between the likes of Hong Kong and Seoul to gain a place in my heart as my all-time favourite Asian city, but recently, Tokyo was the city that stole it. Having visited with a head full of preconceptions, I soon learnt that there’s much more to be enjoyed than just spas, skylines, manga and luxury hotels in Tokyo. Here’s how I fell in love with this brightly lit city. The food in Japan isn’t a complex affair, yet its flavours ignite the palate with a flair you’ll be hard pressed to find elsewhere in Asia. Key to Japanese cuisine is the philosophy that less is more. Fewer ingredients equals purer flavours and the use of fresh and seasonal ingredients means quality is at the forefront of each and every dish. 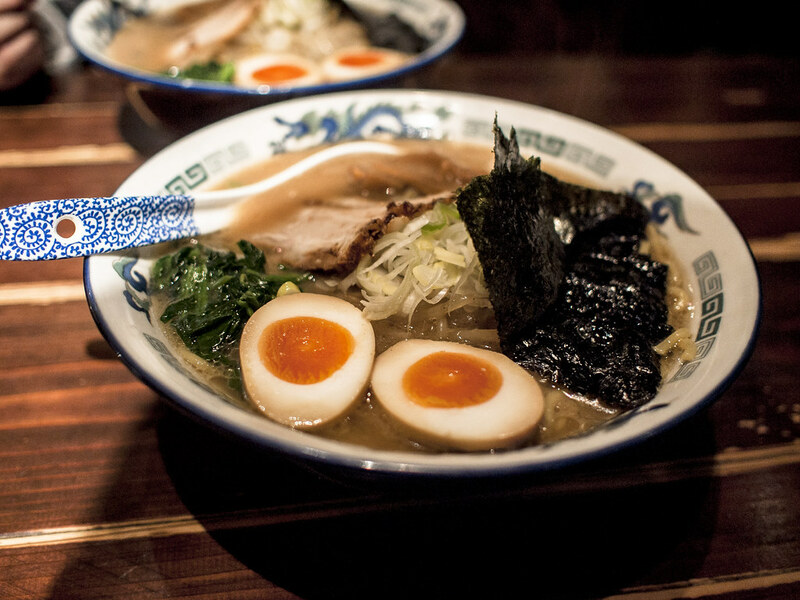 We eat with our eyes after all, and whether it’s a steaming hot bowl of ramen or a plate of fresh sushi, the food in Tokyo is beautifully presented. One of the best things about Japanese cuisine is that although the country is becoming more and more global by the day, the culinary traditions that have lived for centuries are unaffected by foreign influence. Japan is of course the home of sushi, so if you’re a seafood sceptic, this is the place to break through the barrier. Except for yakitori and a handful of rich and warming dishes, the delights on offer are light, meaning there’s always room for dessert. Try dango, a sweet, sticky dumpling to round of a meal. The population of Tokyo sits at around 13.5 million, making this bustling city the world’s most populous metropolitan area. With swarms of people rushing from a to b and neon lights in all directions casting confusion upon the paths of those who are new in town, the streets can become a disorientating place to be when visiting Tokyo for the first time. But that doesn’t mean the people of Tokyo don’t have the time to lend a helping hand. Many locals with have a basic grasp of English and will go out of their way to offer help with directions and anything else they can. You’ll also find that if you take the time to explore the nightlife, it’s very easy to make friends. 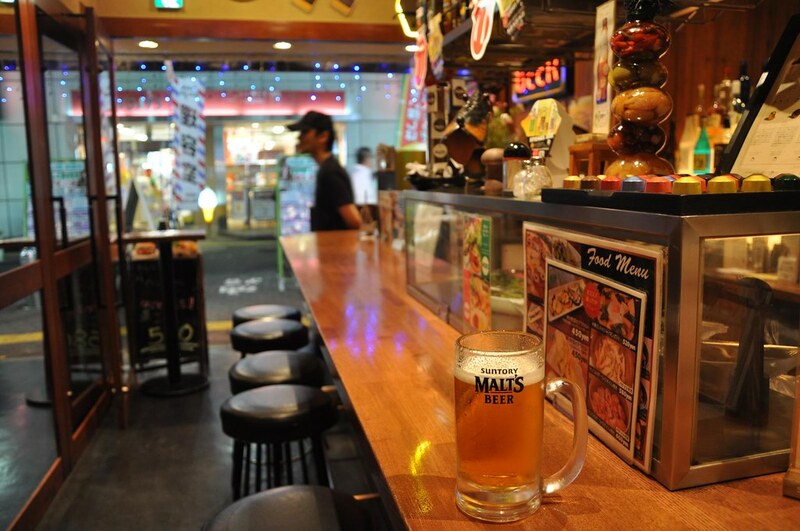 Just pull up a stool at a karaoke bar and watch the requests to duet roll in. 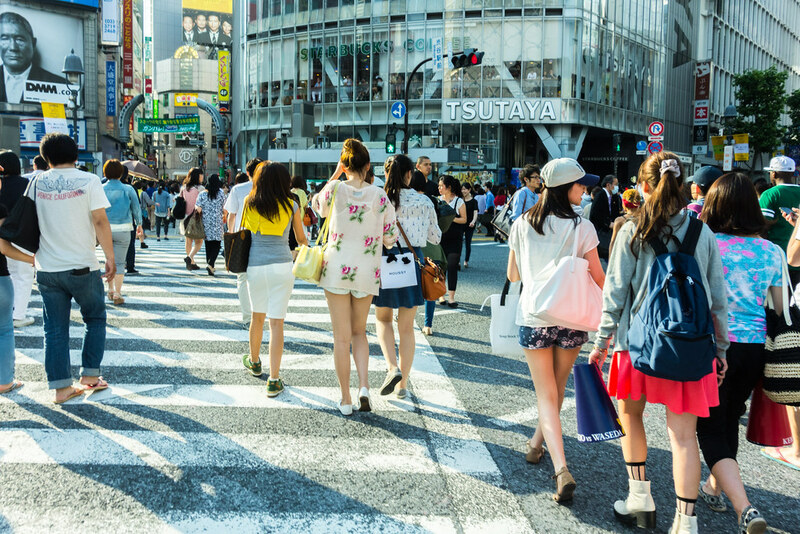 When visiting Tokyo for the first time, you’ll more than likely realize how awfully the rest of the world dresses by comparison. Seriously. 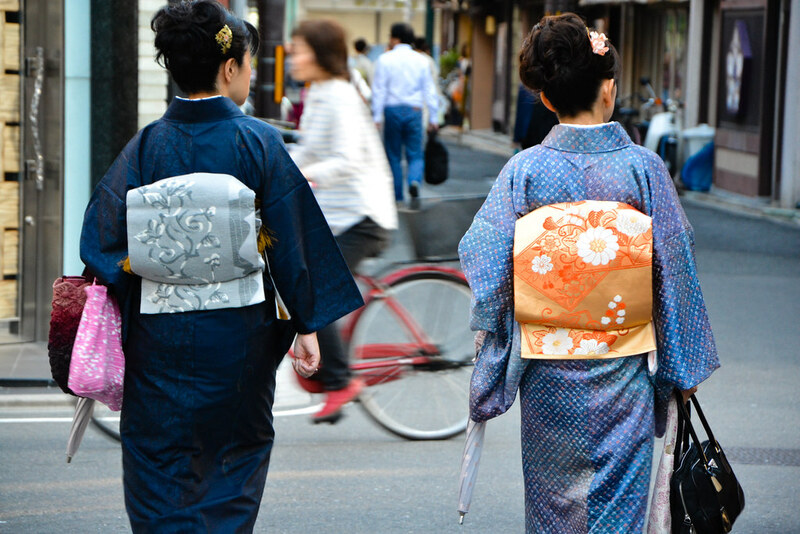 You’ll be hard pressed to come across somebody who doesn’t have the impeccable fashion sense that seems to run through the veins of Tokyo’s people. Head to the likes of Harajuku or Shinjuku and you’ll soon see that the underground fashion scene is booming. The younger generations in Tokyo are setting fashion trends and running with them, leaving the big fashion brands and stores to play catch up. What struck me most was the Harajuku fashion. In a well-dressed, relatively conservative country, the Harajuku kids seem to break the mould by rocking miss-matched, outlandish outfits to make a fashion statement that ‘shouts freedom of expression’ from the rooftops. With the likes of Sony, Fuji, Nintendo, Canon, Panasonic and Toshiba all products of Japan’s creativity, it’s little wonder that avid techies visit Tokyo solely to soak up a taste of the technology on offer. And whilst inventions like the internet umbrella and the mind-reading robot have yet to make it into mainstream stores worldwide, there’s still plenty to get excited about in Tokyo. 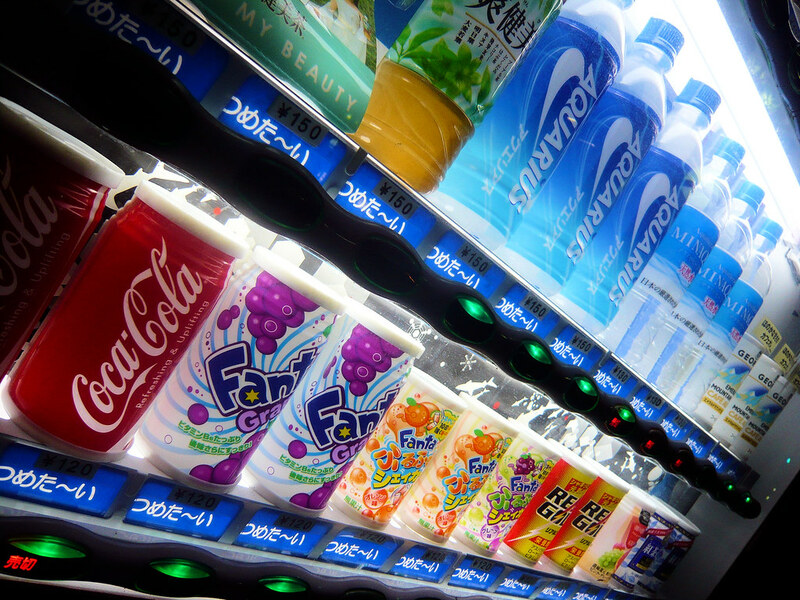 From beautiful flower arrangements to neck ties and barbecued meats, it seems like there’s very little that vending machines in Japan don’t offer. 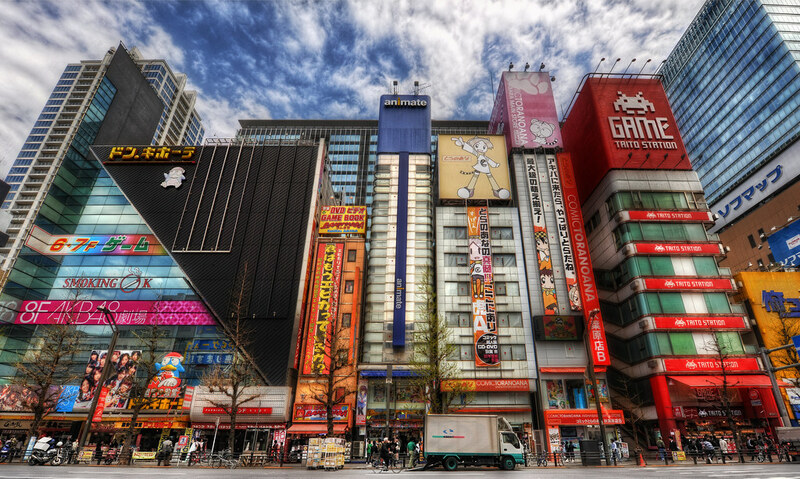 Technology seems to rear its head on every street corner and just a quick amble along the streets of Akihabara, the electric town, will give you everything you need to unleash your inner geek. For a real taste of technology and Japan’s obsession with the future, visit the Toshiba Science Museum or the National Museum of Emerging Science and Innovation. Never before had I found myself in a city where the ultra-modern was so capable of living side by side with tradition. From the sporadically dotted Japanese temples surrounded by towering skyscrapers, to the site of traditional dress worn by kabuki performers weaving their way through a sea of businessmen on their way to an afternoon performance, the historic routes of Japan never seem to fall by the wayside despite the country’s continuous finger on the pulse of fashion and technology. The traditions of Japan date back thousands of years, and it’s the universal dedication to maintaining them that helped me transition from simply liking this fascinating and unique city to loving every inch of it. I’m visiting Japan for the reasons you fell in love with! But most probably for the culture and the locals! I am one of those “technology geeks” who would love to see the technology on display all over Tokyo. But, I would also love to see a professional baseball game, visit the fish market, eat at the famous Robot restaurant, and hike Mount Fuji while I am there. We didn’t get a chance to take in a baseball game in Japan but did in South Korea. Totally different from our experience with the MLB. It was a blast!